Congratulations on making it this far! Let’s spend the next 5 minutes setting up your Spocket supplier account. 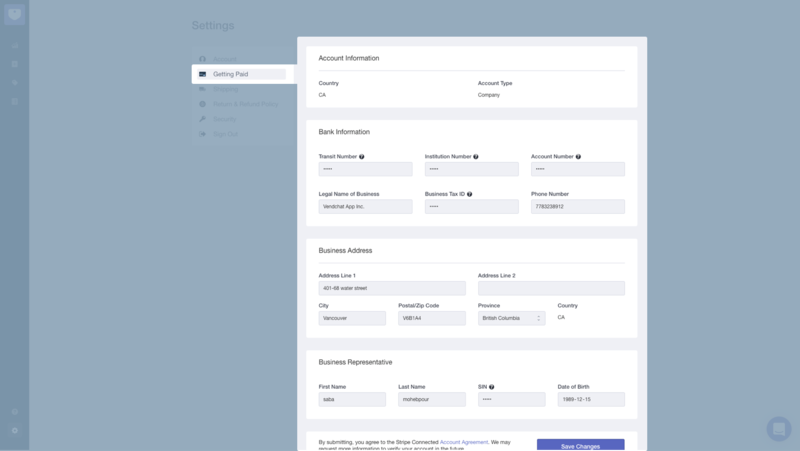 Spocket works with Stripe to transfer the funds from sales to your bank account. Please make sure you completely fill out the form. You must have bank account in one of these countries, if not, please contact us. As a Spocket supplier, you will be able to choose 2 flat rate shipping costs: domestic and international. Please enter the shipping costs before submitting your products on Spocket. 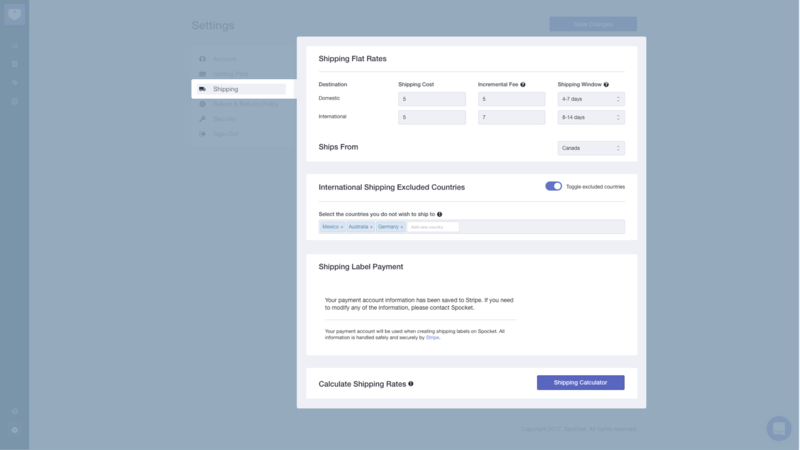 International Shipping Advanced Options toggle on and choose the countries that you do not wish to ship to. 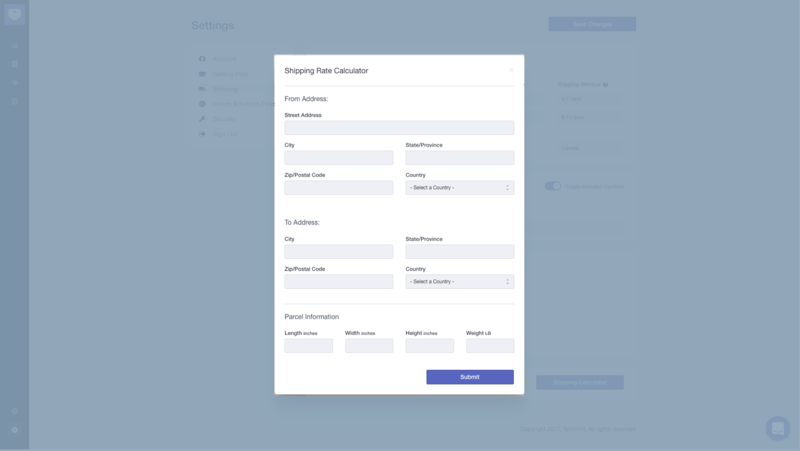 If you’re not sure of the shipping costs, we have added a shipping calculator which can calculate the shipping costs based on the address-from, address-to and the dimensions of your parcel. We have a standard set of return policies. You can select between No return, 15 days return and 30 day return policies. 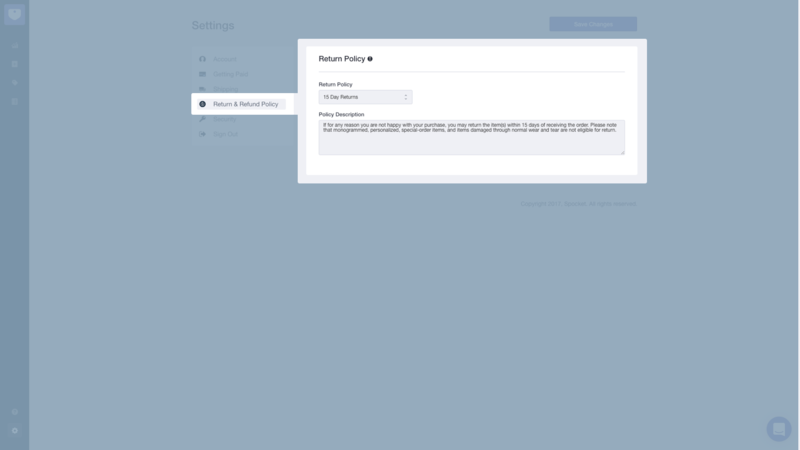 You can edit the return policy description. Now you can activate your products on Spocket. Next: add your first product.